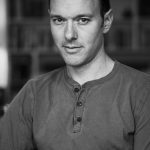 We caught up with Alex Preston, author of the acclaimed As Kingfishers Catch Fire, ahead of his event at WildLines @ The Leeds Library later this month. 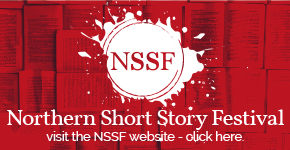 If you want to find out more about Alex and his writing, come and join us. Tickets are £7/£5 concession and can be booked here. For this weekend only we are GIVING AWAY 2 tickets for Alex’s event. Details are at the end of this article. What work of nature writing – whatever you think ‘nature writing’ is! – has had the biggest impact on you? It was through nature that I came to love poetry. I was a bird-watcher first, and then in my teens discovered Heaney and Longley, Ted Hughes and Mary Oliver. It was extraordinary to find this body of literature describing with such beautiful precision the joy and sorrow and sublimity that I saw in the natural world. Of all of these, I’d say Ted Hughes hit hardest and has left the deepest traces. Why do you think nature writing matters? We understand the world through language, our words shape our emotional and intellectual landscapes. Nature writing is a model of engaging with the world, of noticing and then shaping words to express what has been noticed. It’s hard to be complicit in the destruction of something that you’ve seen in the intimate, particular way that good nature writing figures the world. So there’s something deeply political at the heart of great nature writing. Which modern writers on nature do you think are particularly important? I adore Mary Oliver and am so pleased that Corsair will be publishing her in the UK this year. Her best poems are enough to live a life by. Kathleen Jamie strikes sparks from the land and seems to see deeper into the air than other writers. She’s beautiful in poetry and prose. I’ve long admired Robert Macfarlane and am delighted by the success of his Lost Words. How can writing about nature help us tackle the ecological challenges facing the world today? Good nature writing turns us away from the general and abstract towards the intimate and specific. Habitat destruction, or poisoning by pesticides, or industrial pollution – all of these are much more difficult to get away with if we know that it is an ancient and storied oak, or a river of kingfishers and crayfish, or a field of green-winged orchids that is under threat. What role have libraries played in developing your love of nature? My love of books was forged in Worthing library, an unlovely building staffed by the most wonderful librarians and I remember our weekly trips there, and how whatever book I was reading was immediately my favourite book in the world. Many of them were nature books, or were anyway deeply engaged with nature. I remember reading Ring of Bright Water and Swallows and Amazons and Watership Down there, and how these books have still left traces on the way I see the natural world. Novelist and nature-writer Alex Preston will be in conversation with writer Richard Smyth for WildLines @ The Leeds Library at 7pm on Friday 16th March. 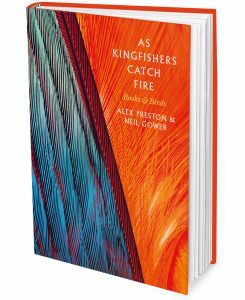 Alex will discuss and read from his acclaimed new book, As Kingfishers Catch Fire, a fascinating mix of memoir and anthology that draws on a rich history of bird-writing to create a heartfelt celebration of birds both on the page and in the wild. The event will include an audience Q&A. Tickets are £7/£5 concession and can be booked here. For this weekend only, we’re GIVING AWAY 2 tickets for Alex Preston: As Kingfishers Catch Fire on Friday 16 March, 7.00pm-8.00pm at the Leeds Library. To be in with a chance of winning, head to our Twitter feed @BigBookend and RT the pinned tweet about Alex’s event or to our Facebook page and share the pinned post about Alex’s event to your page. The competition closes on Sunday 4th March. A winner will be drawn at random and notified either by Twitter or Facebook.